The CATI and MCAD teams will host our annual Design Innovation Summit this October and November. We have listened to your feedback from previous events, chose better equipped venues, and reworked the content to show you more of What’s NEW in SOLIDWORKS 2017. Each session will be a deep dive into the NEW functionality as well as step by step instruction on how to use it. With content created by our Application Engineers, you will leave this year’s Design Innovation Summit with the knowledge to help you get your job done right and be more prepared to update to SOLIDWORKS 2017! This year’s content is built around an incredible life changing device designed in SOLIDWORKS by medical device company Myomo. 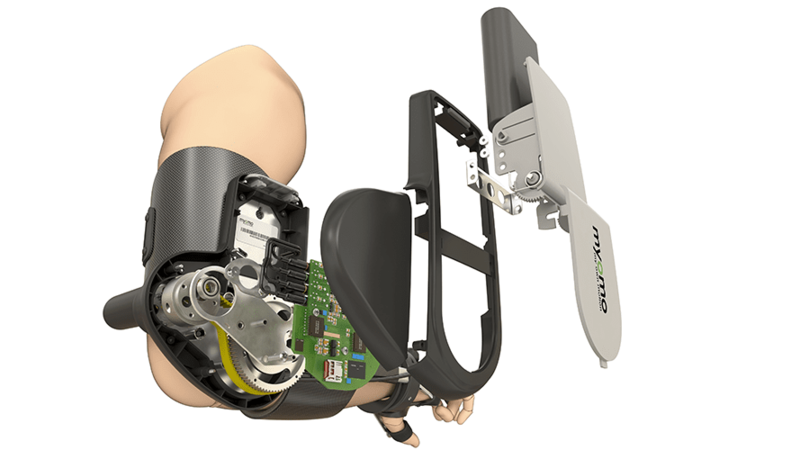 Their MyoPro device is bringing upper limb mobility back to patients with neuromuscular disorders – click on the “About Myomo” tab below for more information on Myomo and their groundbreaking device. After seeing how the MyoPro is changing lives, the CATI team was inspired to help out and do our part. For every Design Innovation Summit Attendee, CATI will make a $5 donation to either the Wounded Warrior Project or the ALS Association. Visit the CATI website for more information.